Cabinets may appear to be basic furniture, but it has a vital role in your kitchen as well as others. It is a good storage system for cooking equipment, utensils, and food. Not only that, it also increases the appearance of your kitchen. A popular homeowners question is, when is the right time to renovate kitchen cabinets? Kitchen cabinets can last up to 50 years, but this may change depending on the materials used. For kitchen renovators, the best time to replace a kitchen cabinet is when it’s showing signs of mildew or water damage. But if you only want to upgrade it, you can always choose resurfacing. Applying new paint on the cabinet’s frame and drawers’ fronts. Applying new cabinet materials (e.g. metal or wood) or finishes (e.g. semi-gloss, satin or gloss). Installing new cabinet drawers, handles, and doors. Resurfacing cabinets is all about upgrading its appearance. You can upgrade yours by choosing open shelving. Open shelving is in-demand nowadays because of its accessibility. Everything you need will be in plain sight, so you no longer have to look endlessly in the kitchen. But there are some people who don’t like open shelving because it can be messy when not maintained regularly. That is the reason most kitchen renovators designed it with a mix of open and closed cabinets. They will only place serving utensils on the open cabinet. While the chinaware and other kitchen equipment on the closed cabinets. Aside from open shelving, another good option is adding glass door inserts on your kitchen cabinets. The good thing about this is it protects the utensil or kitchen equipment from dust or other elements that might land on it. There are different types of glass door inserts that you can choose from and those are: transparent, textured, frosted, leaded and seeded. When kitchen renovators see that the kitchen cabinet is big enough, they decide to add under-cabinet shelving. This is a great solution to fill the dead space from your cabinet. One of the downsides of a normal lower cabinet is that you need to bow or crawl inside just to get what you need. This sometimes causes minor accidents like bumping your head or back pain. To avoid this, you can choose pull-out shelving. Aside from its’ safety feature, the good thing about pull-out shelving is there’s no major modification required when doing this. The kitchen renovators will simply design according to your cabinet’s dimension. In upgrading the kitchen cabinets, its back door is usually left untouched. To avoid wasting such a good space, you can add some shelves on it and make it a spice or lids rack. The application of this finishing touch is the last process of cabinet construction. It serves to protect the kitchen cabinet from tear and wear. This finishing touch is for everyone who loves to add rustic appeal to their kitchen as this will show the natural appearance of the wood. If you want to highlight the detail of the wood or add colours, you can choose the glazed finishing touches. 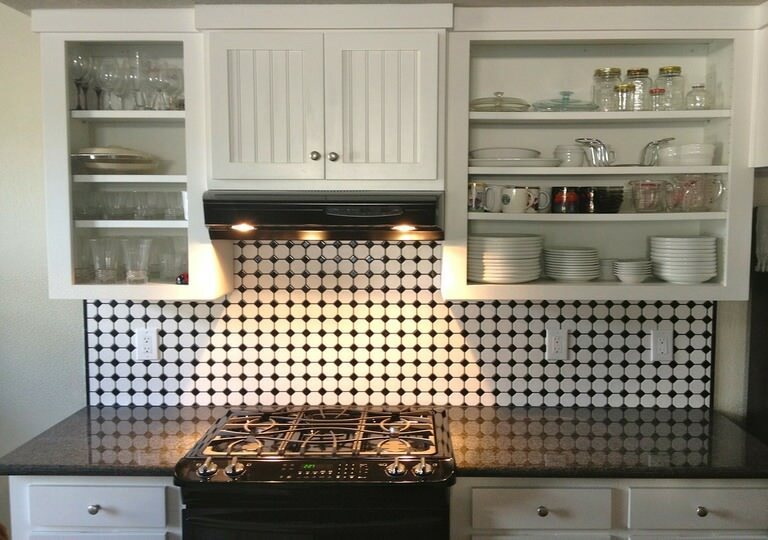 When you choose this finishing, make sure to let the kitchen renovators do the job. This is because there are two methods in applying this coat and each of these methods have a different result. To make sure you get the result you wanted, seek advice or hire professional kitchen renovators. If the natural coat will reveal all the wood’s details, the painted coat is the one that hides all of it. These paints are usually used in white or light-coloured cabinets. It also has a variety of paint colours available. This finishing touch improves the colour of the wood. It has a wide variety of tones and colours, so there are tons of options to choose from – ranging from light to dark. Aside from upgrading the overall appearance of your kitchen cabinets, you can also add new features to improve its functionality. One of the additional touches that most kitchen renovators add is interior lighting. A cabinet’s interior usually is dark and looking at it at night can be a real challenge. That’s the reason it is handy to add interior lighting to help you see things easily. There are two options when you add interior lighting: manual and automatic turn-on. In manual, the light will only turn ON whenever you flip the switch. This is ideal for cabinets with glass door inserts. While for the automatic, the light will turn ON every time you open the cabinet’s door. HIREtrades is a one-stop online marketplace for connecting consumers and businesses, covering 200+ trades and serving all states across Australia. Visit our dedicated Kitchen page or Get A Quote by filling out our quick and easy form.